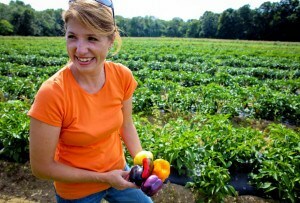 Police are on the hunt for the alleged culprit. By Steve Annear·	 1/14/2014, 2:59 p.m. 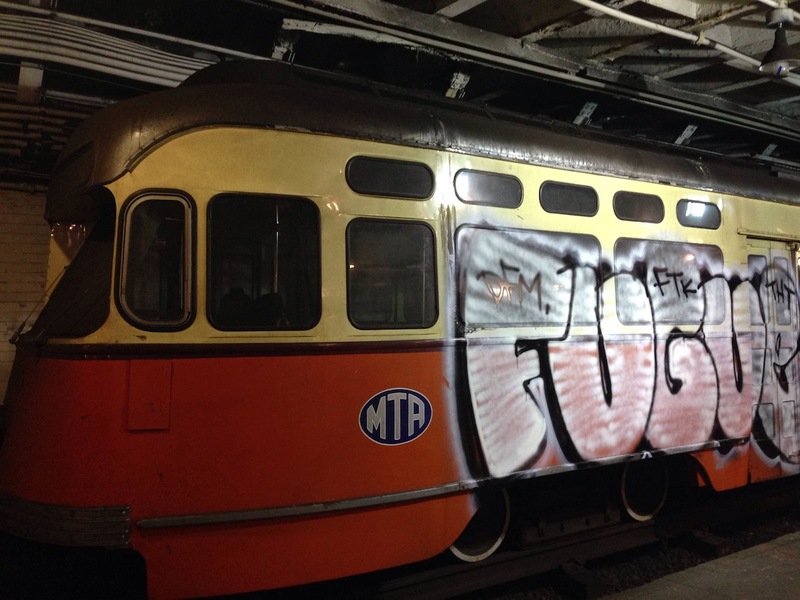 Transit Police are trying to figure out who painted their mark on two historic trolleys on display at the Boylston Street station this week. Peering in between the small holes of the metal gate that separates passengers from the two vehicles, a T employee, who was not authorized to give his name, said he was in shock at the extensive graffiti that was tagged along the sides of the trolleys, in large black and white lettering. 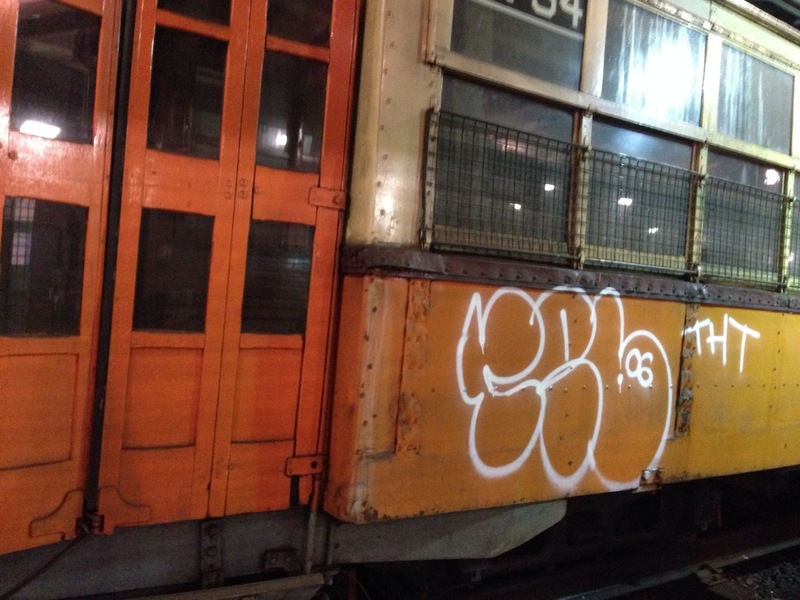 “Man, someone tagged that up real good,” the T employee said, surveying the damage. 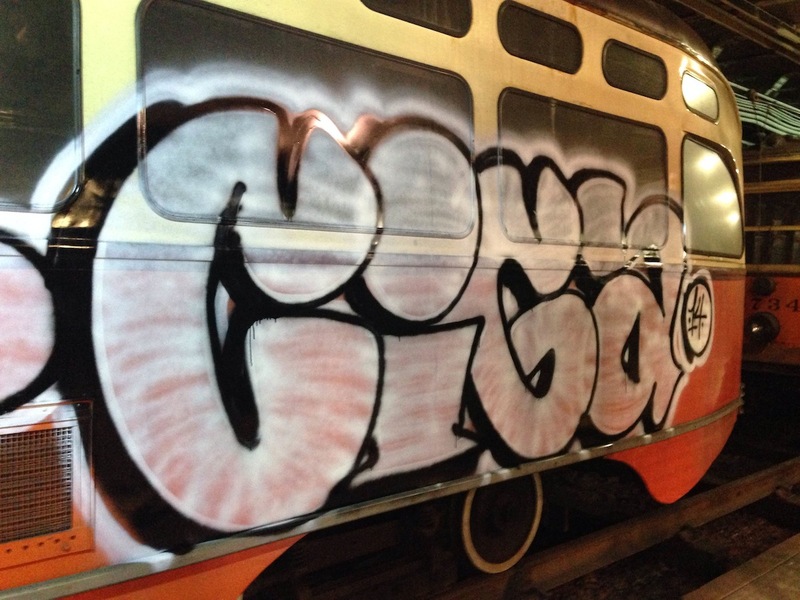 Officials from the MBTA said they’re turning to video surveillance to try and nail whoever may be responsible for the graffiti found Tuesday. In the meantime, the black-and-white taggings remain an eyesore to the general public congregating on the platforms nearby, waiting for their Green Line trains to arrive. “I’m totally bummed,” said Nick, who declined to give his last name. Two trolleys were hit with the spray paint, one worse than the other, however. 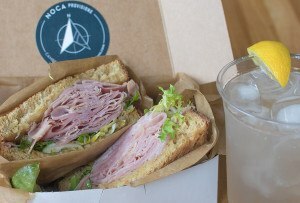 Police said the incident happened sometime between 1 a.m. and 5 a.m.
Sprawled along the side of the first trolley, a PCC 3295, Car No. 3295, one of the last of its kind built by the Pullman-Standard Company based in Lowell in the 1950s was nearly covered from top to bottom in the mid-section of the trolley. The words appear to say “FUGUE,” a tag that instantly comes up when searched on Google and the photo-sharing site Flickr. 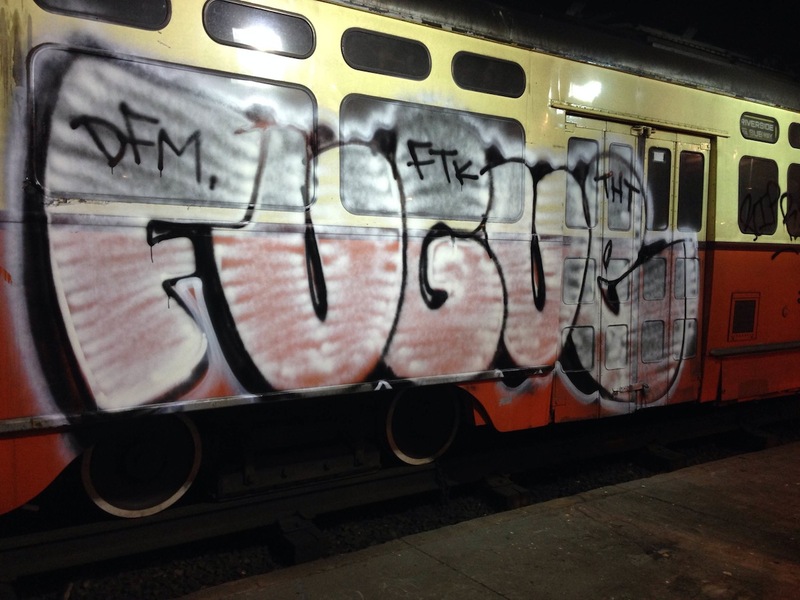 “Fugue not only has the most intellectual name in Boston, he’s gettin [sic] up all around the city,” one website boasts. The other tag name appears to say “CIGA,” which has been spotted in other prominent spots in the city, including the sides of buildings. The car was one of 50 purchased by the Metropolitan Transit Authority—the name of Boston’s railway system before it became known as the MBTA—more than half a century ago. During the early 1980s, the trolley car was restored to its original condition, to be put on display, by the “Friends of 3295,” an MBTA volunteer group. it was fixed up in order to commemorate the Riverside Line’s 25th anniversary. The trolley is owned by the MBTA, according to an email from officials. The second car, donated for display by the Seashore Trolley Museum in Maine, had less damage to its exterior but was still marked by white lines and tags. The No. 5734 trolley, a Type 5 car, is a “semi convertible” that was built specifically for Boston’s subway system by the Brill Car Company in 1924. “The last of these cars ran in service in 1959, having operated in all parts of Boston and its suburbs,” according to a sign posted next to the trolley. A call to the Board of Directors at the Seashore Museum was not immediately returned.